As a boy, Warner Peacock spent weekends driving around with his car salesman grandfather “prospecting” for customers. As a teenager, Peacock helped at his father’s GMAC dealership. With ties that deep, he never really stood a chance at doing anything else for very long. There are plenty of numbers to back up that claim. The New River Auto Mall, for which Peacock is President and CEO, sells about 600 cars a month at its 14 store fronts and employs more than 300 people. Peacock began acquiring and operating car dealerships in his home state of Florida in 1985. Over the years he has dabbled in other kinds of investments; he is involved in the real estate business, and is a founding board member and former board chairman for Orange Bank of Florida. But the auto business is in his genes. The idea for the New River Auto Mall was born in 2001 when Peacock and his longtime mentor, Don Mealey, were looking for land to start a new dealership. The two had been holding business retreats at Mealey’s home on Hilton Head Island for years, so they were both familiar with and had an affection for the Lowcountry. Besides Mealey and Peacock, other shareholders include two attorneys and famed baseball player Ken Griffey, Jr., whom Peacock met in 2004. “We met playing golf. He was asking me about a Porsche coming out, and it was, I think, a $400,000 model. So afterward I called him back and said ‘Maybe you’d just like to invest in a dealership,’” Peacock says. Griffey, Jr. liked the idea, and now the trio has multiple investments together. The Auto Mall opened in 2002, and Peacock and his wife, Mary Kaye, moved here permanently three years ago from Florida. Peacock, who grew up in Tallahassee, is a proud Florida State University alumnus and a huge FSU supporter. He and Mary Kaye donated $1 million for athletic scholarships to their alma mater. 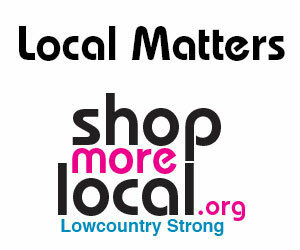 The support they’ve already given to Lowcountry endeavors is equally impressive. The couple has gotten involved in several nonprofit efforts here, including Literacy Volunteers of the Lowcountry, Boys & Girls Clubs, Sun City Community Theatre, Hospice Care of the Lowcountry, University of South Carolina – Beaufort, the American Cancer Society, LoCo Motion – Carolina Cups, and more. In 2012, Peacock was Co-Chair of the Low Country Heart Walk benefitting the American Heart Association. “In a community this size, I think it’s very important to have heavy community involvement,” he said.